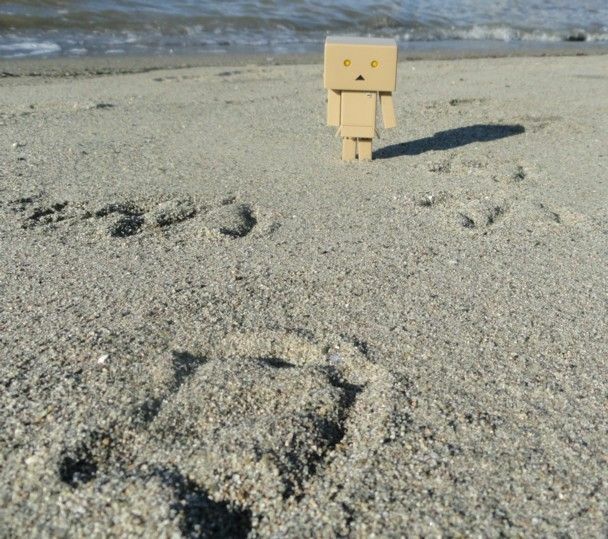 I still think of the Stan Lee Drawings when it comes to Charles X-avier. Patrick can play many roles it doesn't make them the same. Unlike if they have Charlie Sheen or Tom Cruise playing a role. Yeah me, I though it was Vladimir Ilyich Ulyanov. 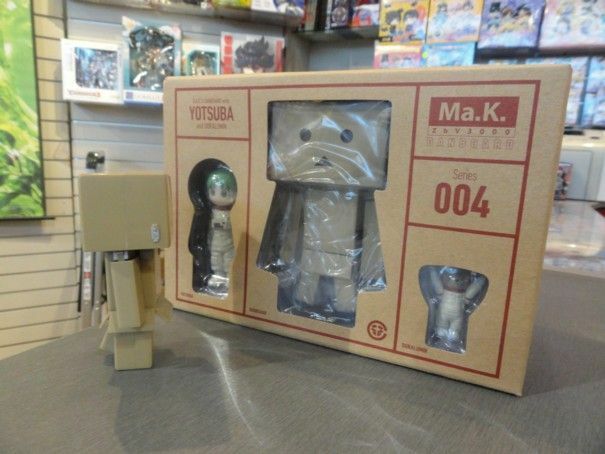 Alas, I only know him from crossovers with Ranma. 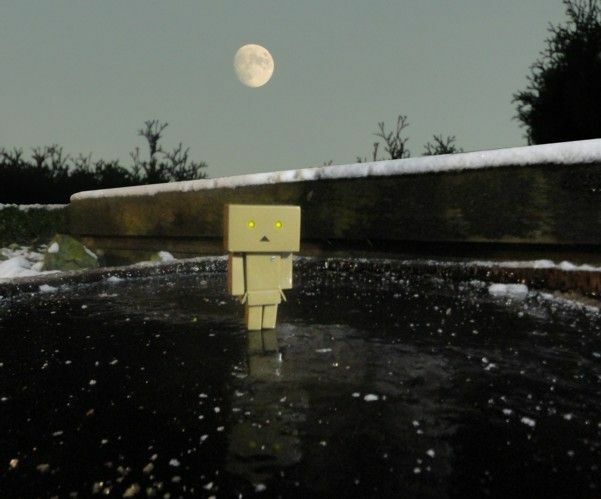 Good alignment of the subject and the moon. Also neat use of the wall/curb to help with perspective. 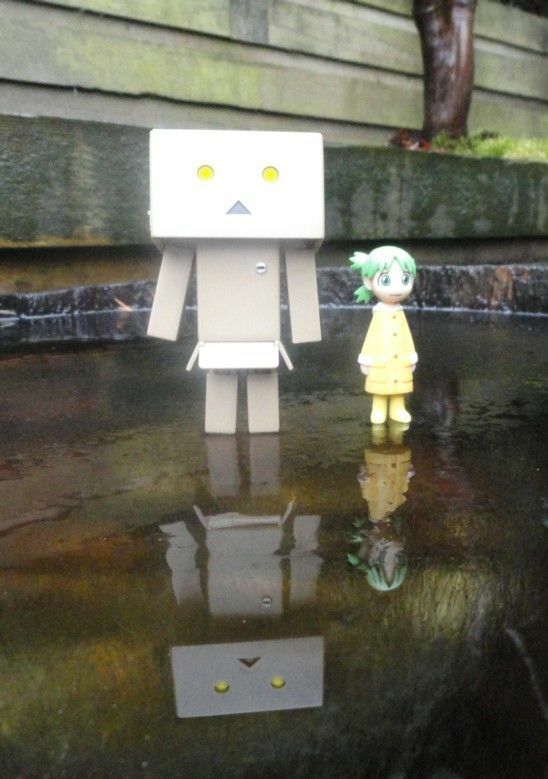 In a photo taken a day or so later, Yotsuba and Danbo reflect on the melting ice. 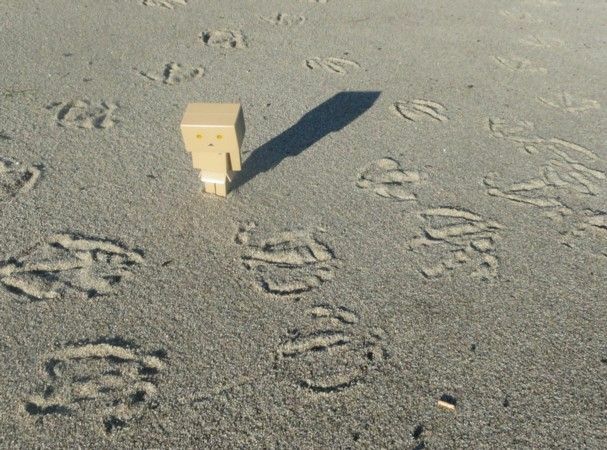 If danbo is made of cardboard, wouldn't melting ice to him be like the wicked witch of the west and melt him into a puddle of brown gloop? 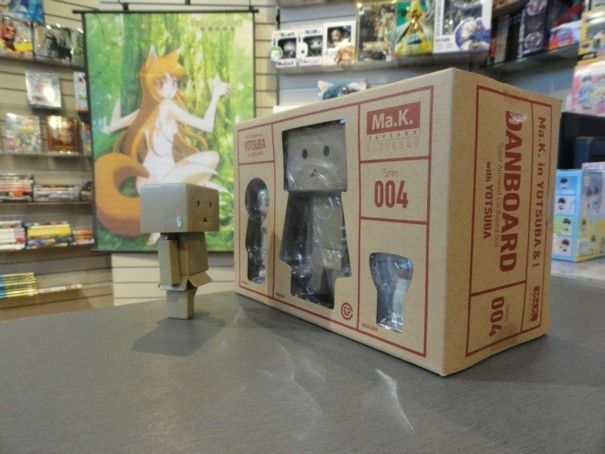 Though Danbo could be made of waxed cardboard . 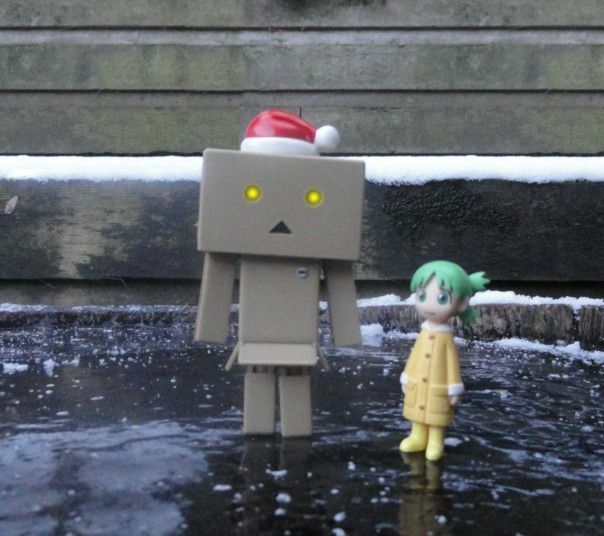 . .
And here is a seasonal Danbo & Yotsuba on the ice. 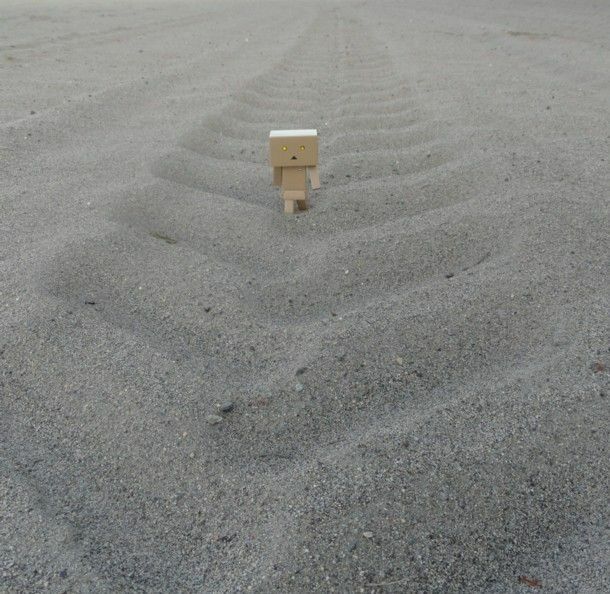 Danbo has a Buzz Lightyear moment. 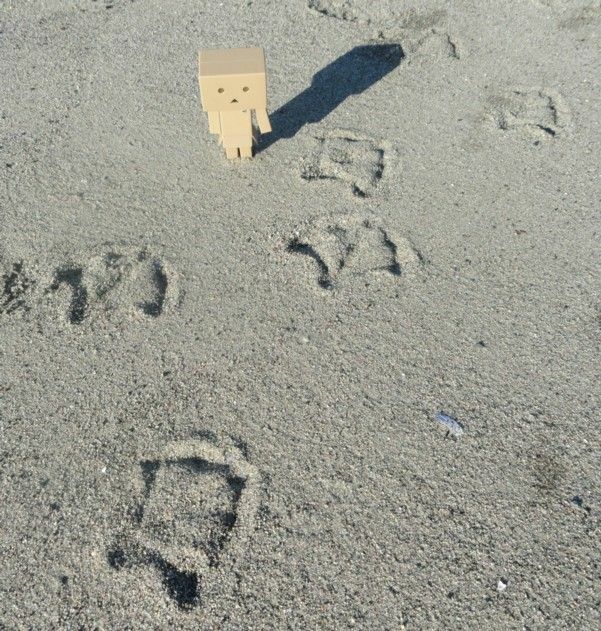 Leaving the Holo deck, it's back to the beach where Danbo is now tracking something else.